Hi Steve greetings from the State of Washington and the Pacific Northwest. The new look is great – clean and very professional. easy to read and navigate. I must say I very much enjoy your style and your comments about the different organists, presentations styles, and the music they chose to perform. On this side of the pond this approach seems to be rare in the world of theater organ music. 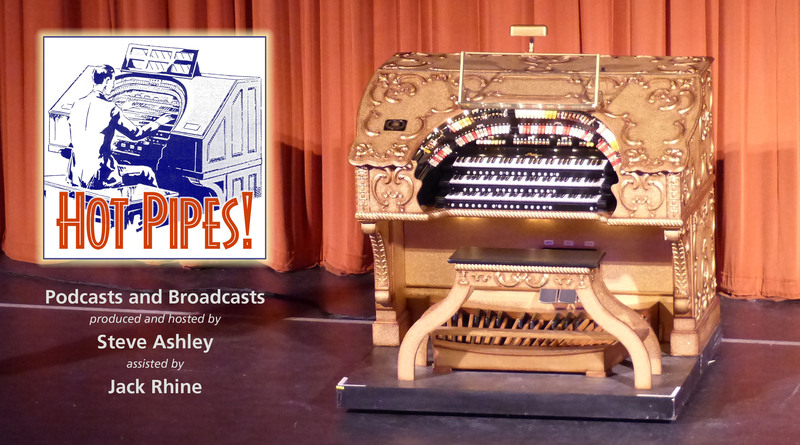 At times it seems as if no one wants to say anything negative about a performer, a music selection, or a style for fear that it would reflect negatively on the world of the theater organ. Keep up the commentaries. I hope that you’ll find the latest tweaks to the website even more readable: the grey text was ‘borderline’ for many and I’ve just made that solid blue. It’s a learning curve for me wading into the website coding but I’m starting to get the hang of how to make useful changes to the theme templates. I guess all this keeps my brain alive!! Meanwhile I’ve just noticed that the Search function is doing silly things. Oh heck!! I have that LP of Langford. I’ve played a track on the half-hour show, number 88, but that’s a ways off being released on the site… I’ll bear it in mind for the requests.